For the Northern Irish play, see The Freedom of the City. For the role-playing game campaign setting, see Freedom City. "Key to the City" redirects here. For other meanings of the term, see Key to the City (disambiguation). The Freedom of the City is an honour bestowed by a municipality upon a valued member of the community, or upon a visiting celebrity or dignitary. Arising from the medieval practice of granting respected citizens freedom from serfdom, the tradition still lives on in countries such as the United Kingdom, Ireland, Australia, Canada, South Africa and New Zealand – although today the title of "freeman" confers no special privileges. The Freedom of the City can also be granted by municipal authorities to military units which have earned the city's trust; in this context, it is sometimes called the Freedom of Entry. This allows them the freedom to parade through the city, and is an affirmation of the bond between the regiment and the citizenry. The honour was sometimes accompanied by a "freedom box", a small gold box inscribed to record the occasion; these are not usual today. In some countries, such as the United States, esteemed residents and visitors may instead be presented with the Key to the City, a similarly symbolic honour. Other US cities award Honorary Citizenship, with just a certificate. Freedom of the City is an ancient honour granted to martial organisations, allowing them the privilege to march into the city "with drums beating, colours flying, and bayonets fixed". Similar laws were passed by other European cities throughout the Medieval era, to protect public security and civic rights, even against their own king's troops. As a result, soldiers would be forced to camp outside the walls of the city during the winter months. The Freedom of the City was an honour granted only to troops which had earned the trust of the local populace, either through some valiant action or simply by being a familiar presence. Today, martial freedom of the city is an entirely ceremonial honour, usually bestowed upon a unit with historic ties to the area, as a token of appreciation for their long and dedicated service. The awarding of the Freedom is often accompanied by a celebratory parade through the city. A slightly more common freedom of the city is connected to the medieval concept of "free status", when city and town charters drew a distinction between freemen and vassals of a feudal lord. As such, freemen actually pre-date 'boroughs'. 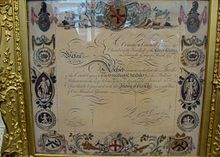 Early freedom of the boroughs ceremonies had great importance in affirming that the recipient enjoyed privileges such as the right to trade and own property, and protection within the town. 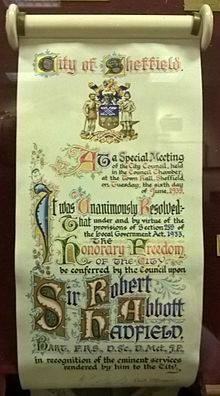 In modern society, the award of honorary freedom of the city or borough tends to be entirely ceremonial, given by the local government in many towns and cities on those who have served in some exceptional capacity, or upon any whom the city wishes to bestow an honour. Before parliamentary reform in 1832, freedom of the city or town conferred the right to vote in the 'parliamentary boroughs' for the MPs. Until the Municipal Corporations Act 1835 the freemen were the exclusive electorate for some of the boroughs. These two acts together curtailed the power of the freemen and extended the franchise to all 'householders' (defined as local rate payers; in fact therefore property owners). The private property belonging to the freemen collectively was retained. The freemen of York, Oxford and Newcastle upon Tyne still own considerable areas within their towns, although the income is effectively given to support charitable objects. The Local Government Act 1972 specifically preserved freemen's rights. The Local Democracy, Economic Development and Construction Act 2009 removed any restrictions entitling only men to be freemen. Today, the grant of honorary freedom in the United Kingdom is governed by the Local Government Act 1972 (as amended by the Local Democracy, Economic Development and Construction Act 2009). The 1972 Act enabled the councils of cities, royal boroughs, boroughs, and parishes (or, in Wales, communities) with the status of a royal town to confer the status of honorary freeman on "persons of distinction and persons who have, in the opinion of the council, rendered eminent services" to the local area. The 2009 Act extends the ability to grant the status of honorary freeman to any county, city, district, borough, town, parish or community council (so removing the requirement for the town to have 'royal' status, and also enabling county councils to confer the honour). A special meeting of the council can grant the honour by passing a resolution with a two-thirds majority at a specially convened meeting. The exact qualifications for borough freedom differ between each city or town, but generally fall into two categories, 'patrimony' (inheritance) and 'servitude' (apprenticeship). For example, in Chester, only the children or grandchildren of freemen may apply for admission. In York, this extends to great- and great-great-grandchildren, and apprenticeship to a freeman of the city will also allow admission. In Great Grimsby, the widow of a freeman passes his rights to her second husband, who retains the privilege after either divorce from or death of the widow. The borough freedom is strongest in York, Chester, Newcastle upon Tyne and Coventry; in Coventry, freedom is qualified by having served an apprenticeship. Durham and Northampton have extended their admission criteria to those who have served an apprenticeship without being 'bound' (trained) by a freeman directly. Freemen of Newcastle upon Tyne are bestowed the right to graze cattle on the town moor. Recipients of this honour have included actor Kenneth Brannagh, diplomat John Jordan, industrialist Andrew Carnegie and Prime Minister Winston Churchill. 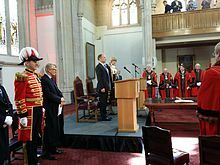 In England, the most established borough freedom is that conferred by the Freedom of the City of London, first recorded in 1237. This is closely tied to the role and status of the livery companies. From 1835, the freedom "without the intervention of a Livery Company" has been bestowed by a general resolution of Common Council, by "redemption" (purchase), at one time for an onerous sum. Now the Freedom can be obtained by servitude, by patrimony, by nomination, or by presentation via a Livery Company. Freedom through nomination by two sponsors is available for a fee (known as a "fine") of £100,[update] but is free to those on the electoral roll of the City. New freemen are enrolled in a ceremony in Guildhall, when they receive a guide to conducting their lives in an honourable fashion and a sealed certificate. Freemen's children get admission preference at the City of London Freemen's School. There are a number of rights traditionally but apocryphally associated with freemen—the right to drive sheep and cattle over London Bridge; to a silken rope, if hanged; to carry a naked sword in public; or that if the City of London Police finds a freeman drunk and incapable, they will bundle him or her into a taxi and send them home rather than throw them into a cell. While sheep have occasionally been driven over London Bridge by Freemen on special occasions, these "privileges" are now effectively symbolic. On 19 August 1999, Jef Smith, a freeman of London walked two sheep over Tower Bridge to bring attention to the rights of older citizens. On 17 June 2006, a flock of about thirty sheep was driven across the Millennium Bridge to mark the start of London Architecture Week. On 31 August 2008, Amanda Cottrell, former High Sheriff of Kent, marched six rams across London Bridge to promote fundraising for the restoration of Canterbury Cathedral and "a scheme backing local food production". On 17 September 2008, the Lord Mayor of London, David Lewis, and some 500 freemen drove a flock of Romney ewes in relay across London Bridge to raise funds for the Lord Mayor's charities (Orbis and Wellbeing of Women). On 7 April 2013, actor and presenter Stephen Fry drove Grace, a year-old lamb, over London Bridge for a documentary about becoming a freeman, Stephen Fry's Key To The City. By 2015, the driving of sheep across the bridge had become an annual event, organised by the Worshipful Company of Woolmen livery company, typically to raise funds for the Lord Mayor's Appeal and the Worshipful Company of Woolmen. York has a long history of freemen dating back to the Anglo-Saxon period, with records dating back to 1272. Freemen may claim their rights through patronage (as far back as their great-great-grandparent, there are records of women being admitted in York in medieval times, a right forgotten for a time until the late 1970s when the gild carried out research and rediscovered it) or apprenticeship. Once 'sworn in', freemen can join the Gild (archaic spelling used) of Freemen who continue to take an interest in the affairs of the city. New admissions are made every year (usually October) following an admission ceremony with the Lord Mayor at the Guildhall. This section is about Ireland. For Freedom awarded specifically in Dublin, see Freedom of the City of Dublin. In Ireland, borough freedom of the city is generally given to noted foreign and national dignitaries and the list rarely exceeds a few dozen. As in the United Kingdom, the title generally comes with various ancient privileges – for instance, freemen of Dublin are allowed the right to vote in certain elections, bring goods for sale in the city without customs and the right to pasture sheep on common ground such as College Green and St. Stephen's Green. Russian President Dmitry Medvedev received the Golden Key to the City of Madrid during his state visit to Spain in March 2009. For other uses, see Key to the City (disambiguation). In some countries, such as the United States, an ornamental key – the "key to the city" – is presented to esteemed visitors, residents, or others whom the city wishes to honour. This practice is a variation on the freedom of the city tradition, and has a similar symbolic meaning; evoking medieval walled cities, the gates of which would be guarded during the day and locked at night, the key symbolises the freedom of the recipient to enter and leave the city at will, as a trusted friend of city residents. In some cities in the Netherlands, Belgium, and Germany, the key to the city is given to the so-called "prince carnival [nl]" who leads the carnivals which take place the week prior to Septuagesima. The tradition is that the mayor steps down for this period and power is transferred to the prince carnival, who then returns the key at the end of Shrove Tuesday/Mardi Gras. Today, the handing over of the key is mostly symbolic and marks the start and end of the carnival. ^ a b "1985 – 75th Anniversary Naval Service of Canada". Royal Canadian Navy. Archived from the original on 12 September 2012. Retrieved 21 November 2012. ^ Section 248 of Text of the Local Government Act 1972 as in force today (including any amendments) within the United Kingdom, from legislation.gov.uk. ^ Sections 27 and 28 of the Text of the Local Democracy, Economic Development and Construction Act 2009 as in force today (including any amendments) within the United Kingdom, from legislation.gov.uk. ^ Text of the Section 249 of the Local Government Act 1972 as in force today (including any amendments) within the United Kingdom, from legislation.gov.uk. ^ Text of the Section 249 of the Local Democracy, Economic Development and Construction Act 2009 as in force today (including any amendments) within the United Kingdom, from legislation.gov.uk. 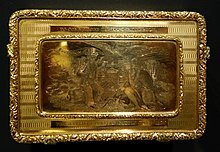 ^ "The Gild of Freemen of the City of York". Retrieved 24 June 2011. ^ "The Moor". The Freemen of Newcastle upon Tyne. Archived from the original on 8 October 2013. Retrieved 13 November 2013. ^ "How to apply for the Freedom". City of London. Retrieved 30 September 2018. ^ a b "Protest Freeman herds sheep over Tower Bridge". BBC News. 19 August 1999. Retrieved 15 November 2010. ^ "Sheep flock driven through city". BBC News. 17 June 2006. Retrieved 4 January 2010. ^ "Sheep marched over London Bridge". BBC News. 31 August 2008. Retrieved 4 January 2010. ^ "Sheep march over bridge for money". BBC News. 19 September 2008. Retrieved 4 January 2010. ^ "Stephen Fry on Twitter". Twitter. 8 April 2013. Retrieved 27 June 2018. ^ "Stephen Fry's Key To The City". ITV. Retrieved 27 June 2018. ^ "Why are there sheep being herded across London Bridge?". ITV News. ^ 30 September 2018. "Alan Titchmarsh herds sheep over London Bridge". BBC News. Retrieved 30 September 2018. ^ "Register of the Freemen of the City of York - British History Online". www.british-history.ac.uk. ^ "Key to the City of New York". New York City Commission for the United Nations, Consular Corps and Protocol. Archived from the original on 14 November 2011. Retrieved 6 November 2011. ^ "White Hat Ceremony". Visit Calgary. Archived from the original on 22 November 2012.